James "Wiley" Harker was an American character actor who portrayed Crane Tolliver in the soap opera General Hospital in 1983. He also played Justice Harold Webb in First Monday in October (1981). He also appeared in Things to Do in Denver When You're Dead as Boris Carlotti, and The Straight Story as Verlyn Heller. Winifred Anne Tutin FRS was a British limnologist, and biologist. 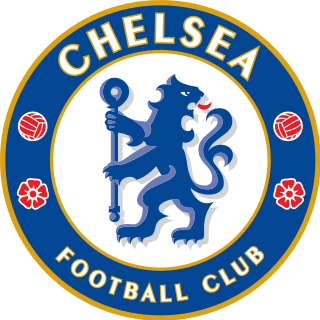 Chelsea Football Club is a professional football club in Chelsea, London, England, that competes in the Premier League, the highest tier of English football. The club has won eight League titles, eight FA Cups, five League Cups, four FA Community Shields, two UEFA Cup Winners' Cups, one UEFA Champions League, one UEFA Europa League, and one UEFA Super Cup. Abdul Sabur Farid Kohistani served as Prime Minister of Afghanistan from July 6, 1992, until August 15, 1992. He was a member of Gulbuddin Hekmatyar's Hezbi Islami. Brad McGann MNZM, was a New Zealand film director and screenwriter. Alexander Arrasi Agase was an American football guard and linebacker who was named an All-American three times in college and played on three Cleveland Browns championship teams before becoming head football coach at Northwestern University and Purdue University. John Robert Lee Bradley was an American gospel music singer. He was the favorite singer of the Rev. Dr. Martin Luther King Jr. and was nicknamed "Mr. Baptist." Mahalia Jackson once said he had the greatest voice she had ever heard, stating "Nobody need mess with 'Amazing Grace' after Bradley gets through with it." Leonard David Eron was an American psychologist who conducted one of the longest spanning longitudinal studies on aggressive behavior in children to date. Based on Leonard Eron and Rowell Huesmann's second longitudinal study that they conducted between 1977 and 1995, lead to the conclusion that media violence causes aggressive behavior. Eron was an author of many books, articles and a constant public policy advocate on Capitol Hill. He also twice received Fulbright scholarship and the APA's Award for Distinguished Lifetime Contributions to Media Psychology. Russell Wayne Kruse was an American auctioneer best known for building the business of auctioning classic cars through Kruse International. Jeremias Nguenha was a Mozambican musician. He sang in Shangaan. José Antonio Roca García was a former Mexican football player and manager. José Ernesto Aponte de la Torre was a Puerto Rican politician and mayor of Carolina, Puerto Rico for 22 years. ↑ "Obituaries: Wiley Harker". The Register-Guard . 5 May 2007. Retrieved 12 August 2018– via thefreelibrary.com. ↑ Bailey, John (23 May 2007). "Mrs Winifred Tutin". University of Leicester . Retrieved 12 August 2018. ↑ "Validated Living Supercentenarians". Gerontology Research Group. 29 November 2007. Archived from the original on 1 December 2007. Retrieved 12 August 2018. ↑ Judd, Terri (3 May 2007). "Chelsea vice-president and son killed in helicopter crash on return from match". The Independent . Archived from the original on 5 July 2007. Retrieved 1 July 2007. ↑ "Wealthy fan and son die in crash". BBC News. 2 May 2007. Retrieved 12 August 2018. ↑ "Ex-Afghan prime minister killed". BBC News. 3 May 2007. Retrieved 12 August 2018. ↑ "New Zealand mourns death of film-maker Brad McGann". Screendaily . 2 May 2007. Retrieved 12 August 2018. ↑ "Hall of Famer Alex Agase Dies at Age 85". Purdue University . 4 May 2007. Retrieved 12 August 2018. ↑ Pareles, Jon (4 May 2007). "J. Robert Bradley, 87, Charismatic Gospel Singer, Dies". The New York Times . Retrieved 12 August 2018. ↑ Pearce, Jeremy (12 May 2007). "Leonard Eron, 87, Is Dead; Researcher on TV's Tie to Violent Conduct". The New York Times. Retrieved 12 August 2018. ↑ "Pat O'Shea: Novelist inspired by a dream". The Independent . 8 June 2007. Archived from the original on 1 October 2007. Retrieved 8 June 2007. ↑ "Astronaut Wally Schirra, fifth American in space, dies at 84". CNN. 4 May 2007. Retrieved 12 August 2018. ↑ de Bruxelles, Simon (4 May 2007). "Rose the goat 'wife' chokes to death on a plastic bag". The Times . Archived from the original on 23 May 2011. Retrieved 12 August 2018. ↑ "Ex-Osaka governor 'Knock' Yokoyama dies at 75". The Japan Times . 4 May 2007. Archived from the original on 26 September 2007. Retrieved 12 August 2018. ↑ Martin, Douglas (8 May 2007). "Russell W. Kruse, Auctioneer of Classic Autos, Dies at 85". The New York Times. Retrieved 12 August 2018. ↑ "Morreu Jeremias Nguenha, um dos músicos mais críticos do poder". Notícias Lusófonas (in Portuguese). 4 May 2007. Retrieved 12 August 2018. ↑ "Murió José Antonio Roca, el 'antichiva' número uno de México". La Jornada (in Spanish). 5 May 2007. Retrieved 12 August 2018. ↑ "Asec legend Mamadou Zare dies". BBC News. 4 May 2007. Retrieved 12 August 2018. ↑ "Prince Abdul-Majid, Governor of Mecca, Dies at 65". The New York Times. 7 May 2007. Retrieved 12 August 2018. ↑ "Muere Alcalde de Carolina". Primera Hora (in Spanish). 5 May 2007. Archived from the original on 8 May 2007. Retrieved 12 August 2018. ↑ "Former NFL wide receiver Hutchinson dies". Pittsburgh Tribune-Review . 8 May 2007. Archived from the original on 24 November 2007. Retrieved 1 June 2007. ↑ "Theodore Maiman: Physicist who built the first laser". The Independent. 9 May 2007. Archived from the original on 24 May 2007. Retrieved 1 June 2007. ↑ "To the core, he was of the Corps". Gloucester County Times . 10 May 2007. Archived from the original on 12 May 2007. Retrieved 12 August 2018. ↑ "Gusti Wolf 95-jährig gestorben". ORF (in German). 5 May 2007. Retrieved 12 August 2018. ↑ "Zamet, Saville John". Find a Will. Retrieved 2 August 2018. ↑ "Alvin Batiste, Clarinetist of New Orleans, Dies at 74". The New York Times. 7 May 2007. Retrieved 12 August 2018. ↑ "Chicago Blues Harmonica Legend Carey Bell, 1936-2007". Modern Guitars. 7 May 2007. Archived from the original on 8 June 2007. Retrieved 12 August 2018. ↑ "Lesley Blanch: Writer and traveller". The Independent. 8 May 2007. Archived from the original on 15 May 2007. Retrieved 1 June 2007. ↑ "Obituaries in the News: Eneas Carneiro". Fox News . 7 May 2007. Retrieved 12 August 2018. ↑ "Tamás Gábor". Sports Reference. Retrieved 12 August 2018. ↑ Martin, Douglas (10 May 2007). "Curtis Harrington, Director of Horror Films, Dies at 80". The New York Times. Retrieved 12 August 2018. ↑ Klier, Marcus (6 May 2007). "Dorde Novkovic passed away". ESCToday.com. Retrieved 12 August 2018. ↑ "Umro Đorđe Novković". Index.hr (in Croatian). Retrieved 12 August 2018. ↑ "Ex-Speaker Lord Weatherill dies". BBC News. 7 May 2007. Retrieved 12 August 2018. ↑ "Isabella Blow". The Times . 8 May 2007. Archived from the original on 23 May 2011. Retrieved 12 August 2018. ↑ Savill, Richard (6 December 2007). "Isabella Blow 'feared her fading public status'". The Daily Telegraph . Retrieved 12 August 2018. ↑ de Bruxelles, Simon (10 May 2007). "Isabella Blow died from drinking weedkiller". The Times. Archived from the original on 11 May 2007. Retrieved 12 August 2018. ↑ "Quentin Brooks". Sports Reference. Retrieved 12 August 2018. ↑ Iole, Kevin (7 May 2007). "Corrales dead in motorcycle accident". Yahoo! Sports. Archived from the original on 4 June 2011. Retrieved 12 August 2018. ↑ Simonson, Robert (4 June 2007). "Shirl Conway, Broadway and Television Actress, Dies at 90". Playbill . Retrieved 12 August 2018. ↑ "DUP assembly member Dawson dies". BBC News. 7 May 2007. Retrieved 12 August 2018. ↑ "George Dawson". georgedawson.org. Archived from the original on 25 December 2007. Retrieved 11 June 2012. ↑ Pearce, Jeremy (19 May 2007). "Donald M. Ginsberg, 73, Expert in the Working of Superconductors, Is Dead". The New York Times. Retrieved 12 August 2018. ↑ "King of Wallis dies aged 88". RNZ International . 7 May 2007. Retrieved 12 August 2018. ↑ Gilerman, Dana (8 May 2007). "Artist Rafi Lavi, 70, Dies of Cancer". Haaretz . Retrieved 12 August 2018. ↑ Riddle, Larry (25 February 2016). "Biographies of Women Mathematicians: Emma Trotskaia Lehmer". Agnes Scott College . Retrieved 12 August 2018. ↑ Oliver, Greg (9 May 2007). "Sonny Myers dead at 83". SLAM! Wrestling. Retrieved 12 August 2018. ↑ "Romanian thinker Octavian Paler dies of heart attack". Hotnews.ro . 7 May 2007. Archived from the original on 9 May 2007. Retrieved 12 August 2018. ↑ "Nicholas Worth, 69; actor often played villains in B movies". Los Angeles Times . 11 May 2007. Retrieved 12 August 2018. ↑ Driscoll, Amy; Merzer, Martin (8 May 2007). "Sect leader Yahweh Ben Yahweh dies at 71". Miami Herald . Archived from the original on 10 May 2007. Retrieved 12 August 2018. ↑ Martin, Douglas (9 May 2007). "Yahweh ben Yahweh, Leader of Separatist Sect, Dies at 71". The New York Times. Retrieved 12 August 2018. ↑ Wells, Julia (10 May 2007). "Mystery Writer Philip R. Craig Penned Popular Fiction Series". Vineyard Gazette . Retrieved 12 August 2018. ↑ Noland, Claire (18 May 2007). "Velma Dunn Ploessel, 88; Olympic diving medalist, PE instructor". Los Angeles Times. Retrieved 12 August 2018– via South Gate High School Alumni 1931-1981. ↑ Mahmoud, Ahmad (9 May 2007). "Abdullah Al-Faisal Passes Away". Arab News . Retrieved 12 August 2018. ↑ "Professor David Farquhar: St Peter's Old Boy - Distinguished Composer". St Peters Alumni.org.nz. 17 January 2009. Archived from the original on 24 July 2011. Retrieved 12 August 2018. ↑ "Professor John Henry". The Daily Telegraph. 12 May 2007. Retrieved 12 August 2018. ↑ "JN Sapru, an officer and a gentleman". The Telegraph . 10 May 2007. Retrieved 12 August 2018. ↑ "Malaco Music Mourns Loss Of Gifted Artist, Carson Whitsett". GospelEngine.com. Archived from the original on 27 September 2007. Retrieved 17 May 2007. ↑ Connel, John. "Donald Alexander (1928-2007)". European Thyroid Association. Retrieved 12 August 2018. ↑ "Ane won Rose Bowl, two NFL championships". ESPN. 11 May 2007. Retrieved 12 August 2018. ↑ Martin, Douglas (12 May 2007). "Alfred D. Chandler Jr., a Business Historian, Dies at 88". The New York Times. Retrieved 12 August 2018. ↑ "Gino Pariani, Soccer Player Who Helped U.S. Upset England, Is Dead at 79". The New York Times. 11 May 2007. Retrieved 12 August 2018. ↑ Hogan, Trevor (25 May 2007). "Academic couldn't be fenced in". The Sydney Morning Herald . Retrieved 12 August 2018. ↑ "Dwight Wilson, First World War Veteran Dies At Age 106". CCNMatthews . 9 May 2007. Retrieved 12 August 2018. ↑ Fantz, Ashley (10 May 2007). "Executed man's last request honored – pizza for homeless". CNN. Retrieved 12 August 2018. ↑ Hevesi, Dennis (13 May 2007). "John K. Lattimer, Urologist of Varied Expertise, Dies at 92". The New York Times. Retrieved 12 August 2018. ↑ "Sir Oliver Millar". The Daily Telegraph. 14 May 2007. Retrieved 12 August 2018. ↑ Freudenheim, Milt (16 May 2007). "Robert S. Oelman, 97, Chief Who Led NCR to Automation, Dies". The New York Times. Retrieved 12 August 2018. ↑ "Obituary: Chuck Riley". Los Angeles Times. 20 May 2007. Retrieved 12 August 2018– via Legacy.com. ↑ Hevesi, Dennis (17 May 2007). "Norman Frank, 82, Public Relations Adviser, Dies". The New York Times. Retrieved 12 August 2018. ↑ Nelson, Valerie J. (12 May 2007). "Bernard Gordon, 88; blacklisted screenwriter led '99 Kazan protest". Los Angeles Times. Retrieved 12 August 2018. ↑ "Ballet great Stanley Holden dies at age 79". San Francisco Chronicle . 13 May 2007. Archived from the original on 24 November 2007. Retrieved 12 August 2018. ↑ "Stanley Holden: Royal Ballet dancer and teacher". The Times. 19 May 2007. Archived from the original on 23 May 2011. Retrieved 12 August 2018. ↑ Stewart, Jocelyn Y. (20 May 2007). "Chief Stephen Osita Osadebe, 71, titan of highlife music". The Boston Globe . Retrieved 12 August 2018. ↑ Jackson, Cherelle (13 May 2007). "Samoa's Head of State Malietoa dies aged 95". The New Zealand Herald . Retrieved 12 August 2018. ↑ "Taliban mastermind killed in Afghanistan". CNN. 13 May 2007. Archived from the original on 14 May 2007. Retrieved 12 August 2018. ↑ "Rangers pay tribute to Johansen". BBC News. 13 May 2007. Retrieved 12 August 2018. ↑ "Henri Klein". Sports Reference. Retrieved 12 August 2018. ↑ "Que Dios te cuide Edy". La Prensa (in Spanish). 15 May 2007. Retrieved 12 August 2018. ↑ "Alexander Buchanan Campbell". Dictionary of Scottish Architects . Retrieved 12 August 2018. ↑ Guan Xiaomeng (17 May 2007). "Lin Daiyu actress dies at 42". China Daily . Retrieved 12 August 2018. ↑ "Mendel Davis; S.C. Democrat In Congress". The Washington Post. 15 May 2007. Retrieved 12 August 2018. ↑ Manoloff, Dennis (14 May 2007). "Former Indian Harold 'Gomer' Hodge dies". The Plain Dealer . Retrieved 12 August 2018. ↑ Davison, Phil (10 July 2007). "Luis Maria Mendia: Mastermind of 'death flights'". The Independent. Archived from the original on 1 October 2007. Retrieved 10 July 2007. ↑ Sullivan, Rohan (14 May 2007). "Famed Vietnam War Scribe Kate Webb Dies". The Washington Post. Retrieved 12 August 2018. ↑ "Orlando Bobo passes away". The Globe and Mail . 18 May 2007. Retrieved 12 August 2018. ↑ "Suri Erna salga liige Ülo Jõgi". Postimees (in Estonian). 15 May 2007. Archived from the original on 5 November 2008. Retrieved 14 December 2009. ↑ "General Sir Edward Jones". The Daily Telegraph. 18 May 2007. Retrieved 12 August 2018. ↑ "Nancy McDonald". Austin American-Statesman . 15 May 2007. Retrieved 12 August 2018– via Legacy.com. ↑ "Pianist dies after cancer fight". ABC News . 14 May 2007. Archived from the original on 15 May 2007. Retrieved 12 August 2018. ↑ "Jean Saubert, 65, Skier, Is Dead". The New York Times. 17 May 2007. Retrieved 12 August 2018. ↑ "Sir Colin St John Wilson". The Daily Telegraph. 16 May 2007. Retrieved 12 August 2018. ↑ Martin, Douglas (18 May 2007). "Giorgio Cavaglieri, Urban Preservationist, Dies at 95". The New York Times. Retrieved 12 August 2018. ↑ Applebome, Peter (15 May 2007). "Jerry Falwell, Leading Religious Conservative, Dies". The New York Times. Retrieved 12 August 2018. ↑ Asimov, Eric (19 May 2007). "Karen Hess, 88, Dies; Culinary Historian Who Challenged Standards". The New York Times. Retrieved 12 August 2018. ↑ "Yolanda King, daughter of MLK, dies at 51". CNN. 17 May 2007. Archived from the original on 23 May 2007. Retrieved 23 May 2007. ↑ "Duncan Macrae: Scotland rugby international". The Scotsman . 19 June 2007. Archived from the original on 5 June 2011. Retrieved 12 August 2018. ↑ Holland, Steve (25 May 2007). "Angus McBride". The Guardian . Retrieved 12 August 2018. ↑ "Lauren Terrazzano: Life, With Cancer". Newsday . 4 June 2007. Archived from the original on 4 June 2007. Retrieved 12 August 2018. ↑ Eltman, Frank (16 May 2007). "Newsday Columnist Dies of Cancer at 39". Fox News. Archived from the original on 19 May 2007. Retrieved 12 August 2018. ↑ Pareles, Jon (20 May 2007). "Bois Sec Ardoin, Musician and Nurturer of Creole Tradition, Dies at 91". The New York Times. Retrieved 12 August 2018. ↑ "Professor Dame Mary Douglas". The Times. 18 May 2007. Archived from the original on 24 July 2008. Retrieved 12 August 2018. ↑ "World famous 83-year-old opera singer Gohar Gasparyan died in Yerevan". PanArmenian.net. 17 May 2007. Retrieved 12 August 2018. ↑ "Hird's grandfather dies". The Age . 16 May 2007. Retrieved 12 August 2018. ↑ "Allrounder Peter Marner dies". ESPN. 16 May 2007. Retrieved 12 August 2018. ↑ Benson, Heidi (17 May 2007). "Author Terry Ryan, 60, dies in S.F. home". San Francisco Chronicle. Retrieved 12 August 2018. ↑ Bernstein, Adam (18 May 2007). "Lloyd Alexander; Fantasy and Adventure Writer". The Washington Post. Retrieved 12 August 2018. ↑ "2007: The Year In Review: Our community mourns their passing" (PDF). The Ukrainian Weekly (2). 13 January 2008. p. 34. Retrieved 12 August 2018. ↑ "Mr Donald Ross Burton (1920–2007)". Parliament of New South Wales. 15 September 2008. Archived from the original on 24 March 2011. Retrieved 3 July 2010. ↑ "Justizministerin Berger zum Tod von Egmont Foregger". Austria Press Agency (in German). 18 May 2007. Retrieved 12 August 2018. ↑ "Former Bronco John Gonzaga dies". The Denver Post . 21 May 2007. Retrieved 12 August 2018. ↑ Martin, Douglas (27 May 2007). "Kawika Kapahulehua Dies; Hawaiian Seafarer Was 76". The New York Times. Retrieved 12 August 2018. ↑ "Air Marshal Sir John Nicholls". The Daily Telegraph. 21 May 2007. Retrieved 12 August 2018. ↑ Yarrow, Andrew L. (22 May 2007). "Eugen Weber, Authority on Modern France, Dies at 82". The New York Times. Retrieved 12 August 2018. ↑ "William "Bill" Wight". San Francisco Chronicle. 24 May 2007. Retrieved 12 August 2018– via Legacy.com. ↑ "Zmarł profesor Wiktor Zin". Gazeta Wyborcza (in Polish). 17 May 2007. Retrieved 12 August 2018. ↑ Baker, Kenneth (23 May 2007). "Roy De Forest – Bay Area painter well-known nationally". San Francisco Chronicle. Retrieved 12 August 2018. ↑ "French Nobel Prize-winner Pierre-Gilles de Gennes dies at 74". Earth Times.org. 22 May 2007. Archived from the original on 27 September 2007. Retrieved 12 August 2018. ↑ "Obituary: Dr. Cornelius R. Hager". Hager and Cundiff Funeral Home. Retrieved 12 August 2018. ↑ "'Daniel Pearl detainee' is dead". BBC News. 18 May 2007. Retrieved 12 August 2018. ↑ Jennings, Angel (10 June 2007). "Les Schwab, Who Turned a Rundown Shop Into a Tire Chain, Dies at 89". The New York Times. Retrieved 12 August 2018. ↑ "Umro Mika Špiljak". B92.net (in Croatian). 21 May 2007. Retrieved 12 August 2018. ↑ "Umro bivši hrvatski i jugoslavenski čelnik Mika Špiljak". index.hr (in Croatian). Retrieved 12 August 2018. ↑ Dacanay, Barbara Mae (19 May 2007). "Comedian and singer Villame dies". Gulf News . Archived from the original on 21 May 2007. Retrieved 12 August 2018. ↑ Brown, Derek (18 July 2007). "Major Derek Cooper". The Guardian. Retrieved 12 August 2018. ↑ "Bosnian Serb war criminal dies in Sweden". Herald Sun . 20 May 2007. Archived from the original on 27 November 2007. Retrieved 12 August 2018. ↑ "Jack Findlay". The Daily Telegraph. 4 June 2007. Retrieved 12 August 2018. ↑ "Frank Guida". The Times. 30 June 2007. Archived from the original on 23 May 2011. Retrieved 12 August 2018. ↑ "Former Bucs TE Ron Hall Dies". bucpower.com. 24 May 2007. Archived from the original on 28 September 2007. Retrieved 1 June 2007. ↑ Hevesi, Dennis (23 May 2007). "Marian Radke-Yarrow, Child Psychology Researcher, Dies at 89". The New York Times. Retrieved 12 August 2018. ↑ "Obituary: Scott Thorkelson, 49". The Globe and Mail . 21 May 2007. Retrieved 12 August 2018. ↑ Garae, Len (22 May 2007). "Vanuatu mourns the death of Bishop Michel Visi". RNZ International . Retrieved 12 August 2018. ↑ Ingendaay, Paul (20 May 2007). "Zum Tode Hans Wollschlägers: Der größte aller Diener". Frankfurter Allgemeine Zeitung (in German). Retrieved 12 August 2018. ↑ "Barbershop actor Carl Wright dies". BBC News. 21 May 2007. Retrieved 12 August 2018. ↑ "Children's entertainer 'Uncle Bobby' dies at 82". CTV News . 23 May 2007. Retrieved 12 August 2018. ↑ "Obituary: Dame Jean Herbison". The New Zealand Herald . 25 May 2007. Retrieved 12 August 2018. ↑ "Sociologist Baruch Kimmerling, 'New Historian,' Dies at Age 67". Haaretz . 22 May 2007. Retrieved 12 August 2018. ↑ "Famous Russian TV presenter dies at 83". RT . 20 May 2007. Retrieved 12 August 2018. ↑ Penley, W. H. (30 July 2007). "Sir George Macfarlane". The Guardian. Retrieved 12 August 2018. ↑ Fox, Margalit (29 May 2007). "Tod H. Mikuriya, 73, Dies; Backed Medical Marijuana". The New York Times. Retrieved 12 August 2018. ↑ Wade, Nicholas (23 May 2007). "Stanley Miller, Who Examined Origins of Life, Dies at 77". The New York Times. Retrieved 12 August 2018. ↑ Fox, Margalit (24 May 2007). "William Peters, 85, Journalist Who Examined Race in U.S., Dies". The New York Times. Retrieved 12 August 2018. ↑ "Georgian former MP, Prof. Guram Sharadze murdered". Imedi News . 20 May 2007. Archived from the original on 30 September 2007. Retrieved 12 August 2018. ↑ "Golf icon Norman Von Nida dies aged 93". The Sydney Morning Herald. 21 May 2007. Retrieved 12 August 2018. ↑ "Ben Weisman, 85, Composer for Presley, Dies". The New York Times. 23 May 2007. Retrieved 12 August 2018. ↑ "Clark Adams: 1969-2007". American Humanist Association. 24 May 2007. Archived from the original on 27 September 2008. Retrieved 20 August 2008. ↑ "Frank William Gay, 86; target of claim on Howard Hughes' fortune". Los Angeles Times. 25 May 2007. Retrieved 12 August 2018. ↑ Schliebs, Mark (22 May 2007). "Prominent barrister Hayes loses fight for life". News.com.au . Archived from the original on 29 May 2007. Retrieved 12 August 2018. ↑ "Sepultaron los restos de Hortensia Herrera de Lacalle". Espectador.com (in Spanish). 23 May 2007. Archived from the original on 26 September 2007. Retrieved 12 August 2018. ↑ "Director Bruno Mattei Dies". Contactmusic.com . 23 May 2007. Retrieved 12 August 2018. ↑ Creswell, Julie (24 May 2007). "Kenneth Sokoloff, 54, Economist, Is Dead". The New York Times. Retrieved 12 August 2018. ↑ Phattaranawik, Phattarawadee; Wattanasukchai, Sirinya (22 May 2007). "Legendary Thai puppet master passes away". The Nation . Archived from the original on 29 September 2007. Retrieved 12 August 2018. ↑ Martin, Douglas (24 May 2007). "Fannie Lee Chaney, 84, Mother of Slain Civil Rights Worker, Is Dead". The New York Times. Retrieved 12 August 2018. ↑ "Killer Dies a Raider Fan". New York Post . 23 May 2007. Archived from the original on 26 May 2007. Retrieved 1 June 2007. ↑ "Local Middle East Expert Dies". ABC 10 News . 26 May 2007. Retrieved 12 August 2018. ↑ "Décès de Joseph Planckaert". RTBF (in French). 22 May 2007. Archived from the original on 25 May 2007. Retrieved 12 August 2018. ↑ "Jef Planckaert n'est plus". 7SUR7.be (in French). 22 May 2007. Archived from the original on 24 November 2007. Retrieved 1 June 2007. ↑ "Famous female Nepal climber dead". BBC News. 23 May 2007. Retrieved 12 August 2018. ↑ "Art Stevens, animator, 92". Variety . 28 June 2007. Retrieved 12 August 2018. ↑ Noland, Claire (27 May 2007). "Clyde R. Bulla, 93; wrote more than 60 children's books". Los Angeles Times. Retrieved 12 August 2018. ↑ "Kei Kumai, 76, Japanese Director Who Specialized in True Stories, Dies". The New York Times. 25 May 2007. Retrieved 12 August 2018. ↑ Ryall, Julian (24 May 2007). "Japan's Kei Kumai dies at 76". The Hollywood Reporter. Archived from the original on 1 October 2007. Retrieved 12 August 2018. ↑ "Tron Øgrim er død". Dagbladet (in Norwegian). 24 May 2007. Retrieved 12 August 2018. ↑ Voce, Steve (29 May 2007). "Buddy Childers: Lead trumpeter with Stan Kenton". The Independent. Archived from the original on 4 June 2007. Retrieved 1 June 2007. ↑ "Les Harmer". ESPN Cricinfo. Retrieved 12 August 2018. ↑ Frith, David (28 May 2007). "Bill Johnston". The Guardian. Retrieved 12 August 2018. ↑ "Former Ambassador Kaiser Dies at 93". Fox News Channel. 24 May 2007. Retrieved 12 August 2018. ↑ "Longtime prosecutor Norm Maleng dies". The Seattle Times . 25 May 2007. Archived from the original on 24 May 2011. Retrieved 10 November 2010. ↑ "Ohio Executes Grossly Overweight Man Who Killed Cellmate Over Chess Games". Fox News Channel. 24 May 2007. Retrieved 12 August 2018. ↑ "芥川賞作家の大庭みな子さん死去". Kobe Shimbun (in Japanese). 24 May 2007. Archived from the original on 26 May 2007. Retrieved 26 May 2007. ↑ "UK's oldest peer dies at age 98". BBC News. 24 May 2007. Retrieved 12 August 2018. ↑ "Grand old Melbourne Cup winner Arwon dies". Brisbane Times . 27 May 2007. Retrieved 12 August 2018. ↑ Hussain, Omar (27 May 2007). "Laurie Bartram passes". JoBlo.com . Retrieved 12 August 2018. ↑ "Victor Firea". Sports Reference. Retrieved 12 August 2018. ↑ McGeehan, Patrick (28 May 2007). "Charles Nelson Reilly, Tony-Winning Comic Actor, Dies at 76". The New York Times. Retrieved 12 August 2018. ↑ "Kaspar Schiesser". Sports Reference. Retrieved 12 August 2018. ↑ "Nationalist general Sun Yuan-liang dies at 103". Taipei Times . 12 June 2007. Retrieved 12 August 2018. ↑ "Former Solomons PM Ulufa'alu dies". RNZ International. 25 May 2007. Retrieved 12 August 2018. ↑ "Lieutenant General Sir James Parlane Baird FRCP (Edin.)". Royal College of Physicians of Edinburgh . Retrieved 12 August 2018. ↑ Whittingham, Selby (8 June 2007). "Professor James Beck". The Independent. Archived from the original on 30 September 2007. Retrieved 2 August 2007. ↑ "Gibson, former Red Raiders coach and player, dies". ESPN. 31 May 2007. Retrieved 12 August 2018. ↑ "Slovenský fotbalista Krejčí havaroval a zemřel". iSport (in Czech). 26 May 2007. Retrieved 12 August 2018. ↑ Amis, John (30 May 2007). "Phyllis Sellick". The Guardian. Retrieved 12 August 2018. ↑ Leapman, Michael (28 May 2007). "Aubrey Singer: Energetic BBC television producer". The Independent. Archived from the original on 4 June 2007. Retrieved 4 June 2007. ↑ "Leading Muslim calligrapher shot". BBC News. 27 May 2007. Retrieved 12 August 2018. ↑ "Ron Archer dies at 73". ESPN Cricinfo. 28 May 2007. Retrieved 12 August 2018. ↑ Randal, Jonathan (6 August 2007). "Edward Behr". The Guardian. Retrieved 12 August 2018. ↑ Sullivan, Patricia (31 May 2007). "Watergate GOP Counsel, Gay Activist Sam Garrison". The Washington Post. Retrieved 12 August 2018. ↑ "Body of ex-LSU star found in Lake Pontchartrain". WWL-TV . 28 May 2007. Archived from the original on 18 February 2008. Retrieved 12 August 2018. ↑ "Former cricketer Jack Kerr dies aged 96". NZ City. 29 May 2007. Archived from the original on 22 December 2007. Retrieved 12 August 2018. ↑ Ebaugh, Alicia (29 May 2007). "Former congressman Mayne dies at 90". Sioux City Journal . Retrieved 12 August 2018. ↑ "Ex-Villanova star Porter dies from attack injuries". ESPN. 28 May 2007. Retrieved 12 August 2018. ↑ "Pop star Zard dies after fall". Asahi Shimbun . 29 May 2007. Archived from the original on 2 June 2007. Retrieved 12 August 2018. ↑ "ICC president Percy Sonn dies aged 57". The Times. 27 May 2007. Archived from the original on 23 May 2011. Retrieved 13 August 2018. ↑ "Film producer G. Srinivasan dead". The Hindu. 28 May 2007. Retrieved 12 August 2018. ↑ "Gretchen Wyler, 75, actress". Variety . Associated Press. 28 May 2007. Retrieved 12 August 2018. ↑ Hevesi, Dennis (4 June 2007). "Ed Yost, 87, Father of Modern Hot-Air Ballooning, Dies". The New York Times. Retrieved 12 August 2018. ↑ "Media heiress Barbara Cox Anthony dies". The Honolulu Advertiser . 28 May 2007. Retrieved 12 August 2018. ↑ Schevitz, Tanya (14 June 2007). "Harold C. Helgeson – UC geology professor had fresh approach". San Francisco Chronicle. Retrieved 12 August 2018. ↑ "German Expressionist Artist Jörg Immendorff Dies". Deutsche Welle . 28 May 2007. Retrieved 12 August 2018. ↑ Flynn, Kevin (29 May 2007). "White supremacist, talk show host killer dies in prison". Rocky Mountain News . Archived from the original on 3 July 2007. Retrieved 12 August 2018. ↑ "The Reverend Professor John Macquarrie". The Daily Telegraph. 30 May 2007. Retrieved 12 August 2018. ↑ "Japanese minister kills himself". BBC News. 28 May 2007. Retrieved 12 August 2018. ↑ Martin, Douglas (30 May 2007). "Parren Mitchell, 85, Congressman and Rights Leader, Dies". The New York Times. Retrieved 12 August 2018. ↑ "Malawi in mourning after first lady's death". Independent Online . 30 May 2007. Retrieved 12 August 2018. ↑ "Dave Balon, 68, Rangers Wing, Is Dead". The New York Times. 31 May 2007. Retrieved 13 August 2018. ↑ "First Magpie host Bastable dies". BBC News. 31 May 2007. Retrieved 12 August 2018. ↑ "Dame Lois Browne-Evans". The Times. 31 May 2007. Archived from the original on 23 May 2011. Retrieved 13 August 2018. ↑ Heithaus, Harriet Howard (2 June 2007). "Internationally known conductor Johanos dies in Naples". Naples Daily News . Archived from the original on 28 September 2007. Retrieved 12 August 2018. ↑ Hawker, Philippa (31 May 2007). "'Modest, quietly intense' actor dies". The Age. Retrieved 12 August 2018. ↑ "Suspected 'Cincinnati Strangler' Serial Killer Dies of Natural Causes in Jail". Fox News. 12 June 2007. Retrieved 12 August 2018. ↑ "Noted Journalist of Pakistan Tahir Mirza Dies". Pakistan Times . 30 May 2007. Archived from the original on 30 September 2007. Retrieved 12 August 2018. ↑ "Mercury and family disagree over power cut death". The New Zealand Herald. 31 May 2007. Retrieved 12 August 2018. ↑ "Professor Michael Seaton". The Times. 7 June 2007. Archived from the original on 23 May 2011. Retrieved 12 August 2018. ↑ Kennedy, Randy (2 June 2007). "Wallace Seawell, 90, a Master at Shooting Stars, Is Dead". The New York Times. Retrieved 12 August 2018. ↑ Weiner, Tim (June 2007). "Jean-Claude Brialy, 74, Actor, Dies". The New York Times. Retrieved 12 August 2018. ↑ Litsky, Frank (2 June 2007). "Mark Harris, Author of 'Bang the Drum Slowly,' Is Dead at 84". The New York Times. Retrieved 12 August 2018. ↑ "Preston Martin, 83, Economist and Former Fed Vice Chairman, Is Dead". The New York Times. 3 June 2007. Retrieved 12 August 2018. ↑ Fox, Margalit (1 June 2007). "William Meredith, 88, Poet Who Wed Depth to Form, Dies". The New York Times. Retrieved 12 August 2018. ↑ Chidlovski, Arthur R. "Team CCCP Players Info: Yevgeny MISHAKOV (Евгений МИШАКОВ)". Hockey CCCP International. Retrieved 12 August 2018. ↑ "George Bragg 1926–2007". Fort Worth Star-Telegram . 2 June 2007. Retrieved 12 August 2018– via Legacy.com. ↑ Hendel, Sascha. "Norman Collings Fletcher, architect (*1917 †2007)". ArchINFORM . Retrieved 12 August 2018. ↑ Shiffman, John (1 June 2007). "Pioneering jurist Clifford Scott Green dies". The Philadelphia Inquirer . Archived from the original on 29 September 2007. Retrieved 12 August 2018. ↑ "Retired Methodist Bishop David Lawson dies at 77". St. Paul Pioneer Press . 1 June 2007. Retrieved 12 August 2018. ↑ "Fathia Nkrumah is dead". GhanaWeb.com. 31 May 2007. Retrieved 12 August 2018. ↑ Yoon, Carol Kaesuk (17 June 2007). "Charles Lee Remington, Butterfly Expert, Dies at 85". The New York Times. Retrieved 12 August 2018. ↑ "Alexandr Naumovich Tubelsky (1940-2007)". Libertarian Education. 1 September 2007. Retrieved 12 August 2018. ↑ Benton, Jim (1 June 2007). "Williams, CSU pioneer, dies at 92". Rocky Mountain News . Archived from the original on 27 September 2007. Retrieved 12 August 2018.